SALINA – A relentless Chipola defense overpowered the Hutchinson Community College women’s basketball team over the first 16 minutes of the first half and the whole was too big to climb out of in the 2015 NJCAA Division I Women’s Basketball Tournament championship game. 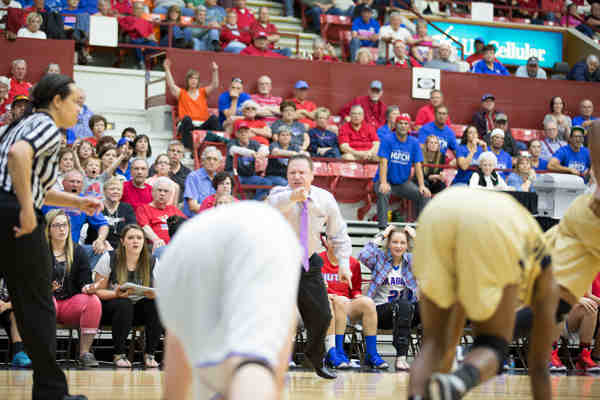 Held to just three field goals over the first 17 minutes of the game, Hutchinson ultimately fell behind by as many as 15 points and lost to Chipola 54-46 at Salina’s Bicentennial Center. Hutchinson ends its season at 36-1 and finishes as the national runner-up for the second-straight year and for the third time in four seasons. Chipola (34-1) wins its first national championship. Hutchinson’s five two-year sophomores – Kalani Purcell, Alyx Bloom, Shakira Harding, Jessica Daughhetee and Sydney Benoit – finish their Blue Dragon careers with a stellar 71-2 record. The only two losses the group suffered were in the national championship game.